By Jane Willis, Park Slope resident who spent the summer canvassing for Kashif Hussain in her neighborhood. In the heat of the first day of the Judge Kavanaugh Confirmation Hearings on September 4th, the heat index in Park Slope was way high, too. A number of my friends – mostly women – had gone down to DC to put their bodies on the line in Civil Disobedience to interrupt the Hearings and try to hamstring the inevitable attack on Roe V. Wade. I had been invited to join them, as I had gone before, but today my plan was to continue to canvass for a candidate who is running for a local, unpaid District position. Since January, I’ve volunteered my time to a number of progressive State Senate challengers, doing various tasks. It’s been a useful way to channel anxiety over corroding humanistic values on State and National levels – and help make something better and more hopeful. The candidate I was canvassing for is Kashif Hussain, a Pakistani Immigrant who arrived here twenty-seven years ago with his family. He lives in Ditmas Park and has substantial credentials as a Community leader and a volunteer with the Police Auxiliary. He’s created nine nonprofits. In his day job as an Environmental Engineer, he works with the DEP, and the Port Authority. He’s a guy who knows the lay of the land, and the hierarchies of people, places and things that make things work- or not work – in the Boroughs. I’m a white 61- year-old woman, a former public school teacher, and a bit of an outsider in my own neighborhood of Park Slope, as I only moved here five years ago. I had thought that Park Slope was a Progressive community – I hear a lot about “our bubble here.” But as I walked around with Kashif this summer, I’ve learned that’s not actually true. I’ve noticed that there’s sometimes a vibe of “Otherness” and suspicion around the legitimacy of his campaign – in blatant and more subtle ways. An exchange at a Democrat’s front door: “Are you a member of ISIS?” he asks. Kashif fields this question thoughtfully and describes how, yes, his religion is Islam, but culturally, he is Progressive and does support Women’s Rights. She touches his arm then; she feels more comfortable now. Would she have felt the need to ask that question if he were a White Protestant, Catholic or Jewish Progressive Democrat? I’ve noticed the enormous amount of educating and explaining that Kashif is required to do. Our conversations at doorsteps are often quite lengthy. The explaining part. That’s the thing. I’ve noticed the large amount equanimity with which Kashif delivers his answers, and the truckload of good nature required to respond to people who consider themselves “inclusive” but don’t always see that their own deeply embedded biases are showing. I notice how fully “present” Kashif strives to be while speaking with voters. To rise above and be better than best. I don’t know how this isn’t exhausting. An exchange as I hand out a palm card on 9th street to a couple: “Oh yeah! We know him! The Arab guy! The Engineer!” How about the Engineer part coming first? And Pakistan is not Saudi Arabia. It appears that a POC Candidate stumping on a campaign is perceived by a number of white Park Slope folks in this order: Person of Color first, Vocation second, then – Personality, Values, Neighbor, then Advocate/Leader, tied for the last place. It would be interesting if someone with a stopwatch could follow both Kashif and his Opponent, a white man – and clock how much time each man stands on each doorstep legitimizing their campaign. Does the White Candidate need to spend as much time doing that here, in Park Slope, as Kashif? When I’m canvassing on my own, my conversations are lengthy because Park Slope folks become interested in Kashif’s versatile background. We can get to that quickly – no justification needed, because I’m a white woman on my own today, supporting him, and that puts Kashif’s candidacy on the road to Okay. 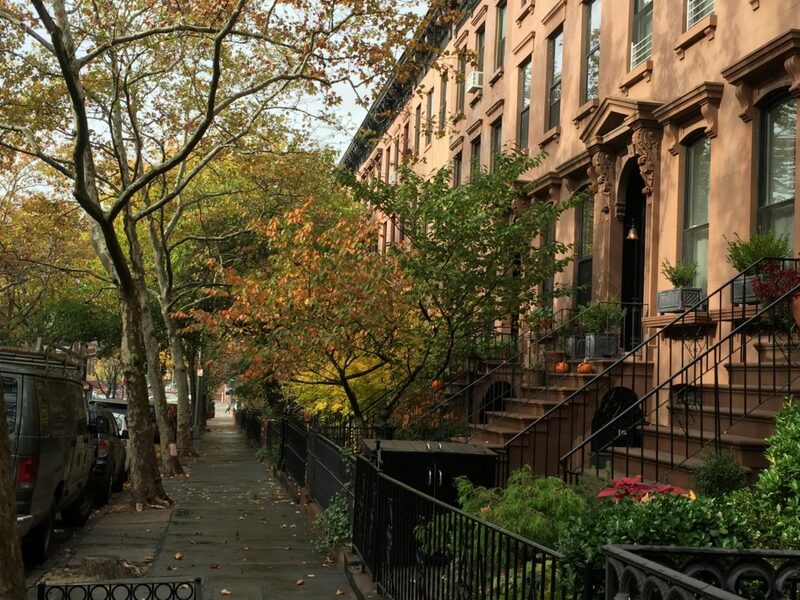 So can we stop with this myth of Park Slope’s “Progressive” bubble? Compared to what many of us would like to see… It’s not. Opinions expressed are those of the writer. We accept opinion pieces and letters to the editor for consideration on any subject as long as there is a Brooklyn angle. Please email them to Liena Zagare at Liena@bklyner.com. The problem with Kashif, is that he is a former VOLUNTEER COP, who doesn’t seem to understand the real responsibilities of the position. Look at the comment up above folks, a great example of the Bubble. I’m surprised to see that Jane Willis, a veteran canvasser, felt that progressivism might be synonymous with slap – happy ignorant acceptance of all matters foreign. The self-irony required to respond to “Are you a member of ISIS?” with a sense of humor is rampant here in The Slope. The 25 years I’ve been here has been heaven, Jane. We ask lots of questions, unashamed to invite those willing to schmooze. I’ve often wondered how many homeowners that have supportive signs plastered in their windows (ie. : all languages spoken here, we don’t support hate in this house etc.) would actually open up their homes to these folks. Thanksgiving is coming…put your money where your “sign” is. I would ask any candidate, whether it be an Orthodox Jew, an Evangelical Christian, Mormon, Catholic or Muslim the same question, “ do you believe in Women’s rights?” because all these religions in their extreme forms are oppressive to women. The fact is that the countries where Islam predominates have the worst record of abuse to women. If the candidate identifies himself with his religion then I see nothing wrong with that woman asking him if he believes in women’s rights. If a candidate identifies as Catholic wouldn’t you want to know if he is pro-choice? dear Jane, although I agree that ‘our’ reputation, like other nabes, is a media and real estate agency creation, and therefore likely to be ‘fake,’ I have a few questions regarding your implied characterization of my neighborhood. what makes you think that the people you canvassed were representative of their own race, gender, ethnicity, religion, etc? or of the neighborhood? why do you think that park slope is ‘progressive’ in the first place? how do you define ‘progressive?’ btw: half of the population is below average intelligence and you probably found them…. First of all we will always be suspicious of anyone wearing and covering up their face with a veil after 9/11 that will always be in our minds,you never know who’s under it. Second of all why don’t people read up on RoeVwade,”Norma McCorvey,” she wasn’t a very innocent person,the only morally thing she did right was to have the child and give it up for adoption, and later on she stated that she had switched side on abortion and that now she’s pro life. I believe a woman has a right to do as she pleases with her body but when they freely engage in a roll in the hay and don’t take precautions then it’s on them, abortions aren’t free and they should be held responsble to pay their thrill, as far as a women having an abortion cause her marriage has gone down the hill is her choosing to abort but don’t think that anyone other then themselves should pay for the abortion, pretty sure a women is aware of a rotten marriage before getting pregnant, if your religion for bides you to use contraception’s then it should also forbid you to abort, no Persons religion should be held over their head cause of different peoples belief, a Candidate shouldn’t have to side with any ones belief but to serve every one as honestly as he can, today religion is used and held against any one that is in agreement. People if you were all educated you would know that RoeVWade is LAW, so these liberal socialist just want to stir problems with candidates and spread false information cause electing a liberal is their aim to control votes, remember your mind is yours and you along can educate your self against false news. Guess my comment didn’t meet the standards, but the truth is that liberals don’t accept truth but only their hate, racism, and hate. It only proves how liberal the Bklyner is. Suppose there are some folks in PS who know little of Pakistani culture and are perhaps cautious as a result. Is that really so horrible and wrong? Let people ask their “dumb” questions and learn. I wish more “dumb” questions were being asked in this world. We aren’t all cosmopolitan and erudite when we emerge from the womb. This article is a worthless exercise in “virtue signalling”. Grow up, Bklyner. My opposition to Kashif has nothing to do with his religion, his color, or any other personal attribute. It has to do with the fact that he has allied himself (and indeed, was recruited to run) by one of the sleaziest, most anti-democratic (small-d) people in Brooklyn politics. This person has specialized in throwing monkey wrenches into any local effort at reform and good government, and has promoted candidates in the past with dubious or no qualifications and shady backgrounds. If Ms. Willis knows her way around local politics as well as she claims, she would never have spent her time volunteering for this candidate. I have lived in PS for about 18 years. PS is not a progressive neighborhood. It is a democratic neighborhood but the needle is about a quarter to the left of center, maybe an 1/8th to the left of center. Basically a Clinton neighb, not a Bernie neighborhood. Jane, I understand that white privilege is real and exists just as much in politics as it does elsewhere. That said, I have a lot of problems with this OpEd. I am not sure that calling people in Park Slope oblivious or hypocrites is the best way for you to help Kashif. Also, I am curious why you focused on Park Slope. Did you canvass for him in Windsor Terrace? In Victorian Flatbush? Did he get a different reception? Also, have you canvassed on Park Slope for other white candidates? Other candidates of color? What is your point of reference to make these blanket statements? I have no idea how you can compare the amount of time that Kashif spends at the door to some generic “White Candidate.” But here is an alternative theory, Kashif has to spend more time at the door because no one has ever heard of him, he has never been active in the community or in Democratic politics and he decided to run at the last minute. Of course he has to spend more time at someone’s door than a candidate who is a known entity in the neighborhood. What’s most fascinating to me is that nowhere in the article do you lay out WHY you are supporting Kashif. What are his qualifications. What are his positions that attracted you to him. I agree that there are probably a lot of people in Park Slope who wouldn’t vote for someone because they are a Muslim. At the same time, your argument seems to be to support Kashif solely because he IS a Muslim. You appear to be trying to set up an argument that Kashif has not made inroads with Park Slope voters because Park Slope voters are fake progressives. But Maybe Kashif isn’t making inroads with Park Slope voters because he tells people that he is running against the “progressive machine.” Or that his canvassers are telling people that he is running to fight against Bobby Carroll and Brad Lander, both of whom are pretty popular here. And maybe, just maybe, people aren’t voting for Kashif because he is not the best candidate. Maybe they are not voting for Kashif because Doug is well-known and pretty well liked. He and his wife have been active at CBE, on the Park Slope Civic Council, in participatory budgeting, and have hosted and attended countless political events. Maybe people are voting for Doug, not because Kashif is a Muslim, but because Doug is a known quantity. He is charitable. He has integrity. He has passion (maybe a little too much). His history of activism supports his claim to really care about electing Democrats. I like Kashif. I am glad he decided to run and I hope he inspires more people from the Southeast Asian community to get involved in politics. My decision not to vote for him has nothing to do with his skin color or his religion. It has to do with the fact that Doug is a better candidate in every way imaginable. Politics is the art of the possible. Your candidate just might be stretch even with Park Slope crazies. I read Kashif’s web site, and it says very little about his positions on social issues. Being a member of an ethnic group, who wants to represent a heterogeneous community like ours, I think he would be very wise to make his positions known. Otherwise, we will vote for the candidate whose positions we know we agree with.